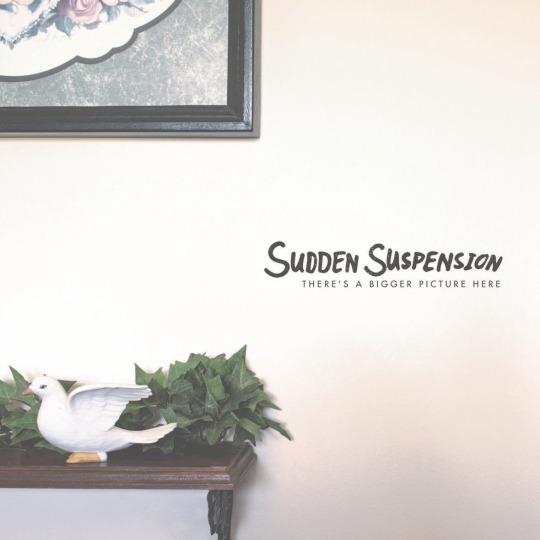 Sudden Suspension embodies the infamous punk-pop teenage angst driven genre as the boys keep it real and uncensored through emotion filled lyrics along with the signature whiny vocals paired with electric guitars and plenty of drums. Their EP titled There’s a Bigger Picture Here, is a bluntly honest documentation of the day-to-day life struggles and emotions felt by anyone who has ever grown up as a hormonal teenager. The group tells it like it is embracing their badass, spunky attitude channeling the notorious punk-pop sounds with sad vocals and a bold dose of irony especially through the catchy track “We’ll Always Have Each Other” consisting of a repetitive chanting of the line “…just don’t forget to pretend that it gets better than this…” written from the perspective of first person, as if he were talking to himself about the lessons he will learn. With the genre usually appealing to a younger demographic, the young bandmates possess a mature, realistic grasp on reality and are anything but naive about the world. The track “As Good as It Gets” is like an ultimate smack in the face of reality expressing the importance of looking out for yourself and to not rely on anyone to save you. The lyrics and vocals come out genuine and possess an ironic tone almost mocking his own stupidity in realizing his mistakes but also growing from them. “Eventually” is one of the more brutally honest and vulnerable tracks on the EP. He accentuates each verse, taking one pang to the heart and ego after the next – it is like he is reading a passage out of his own diary; and he very well could be. The other tracks titled “Cheap Seats”, “Footsteps”, and “Back Roads” all kind of speak for themselves with the ongoing theme of moving forward, growth and learning. Although the group is predictable in this regard, they thrive on their positive message and embrace it wholeheartedly. popularity and no doubt will continue to grow their following of fans.